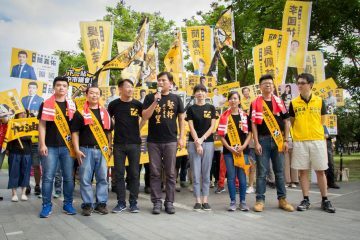 THE ANNUAL commemoration of the Tiananmen Square Massacre took place in Taipei yesterday, marking the 28th anniversary of the crackdown on demonstrating students by the Chinese government. 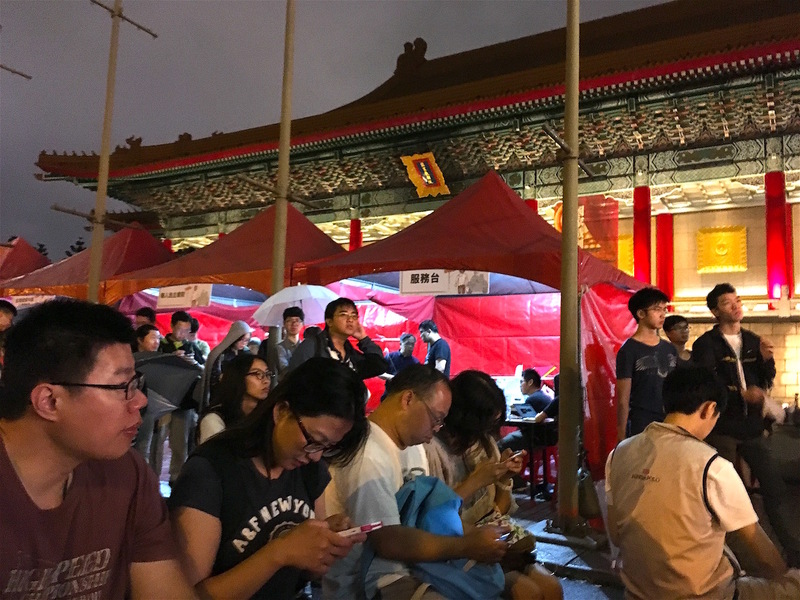 The commemoration was held in Liberty Plaza, as it has been in previous years, and had over one hundred in attendance despite drizzling rain and the ceremony coming on the tail end of a weekend which had seen near-typhoon conditions. 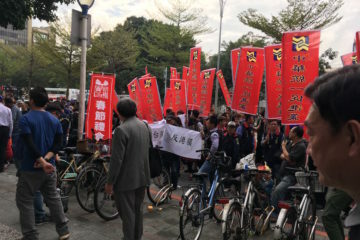 In particular, this year’s commemoration highlighted the abduction of Taiwanese human rights NGO worker and former DPP staffer Lee Ming-Che. 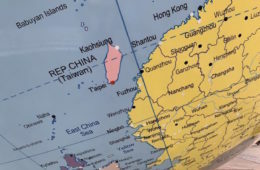 Lee is the first foreign NGO worker kidnapped under new restrictions on foreign NGOs in China, although obviously it is that China considers Taiwan part of its territory. 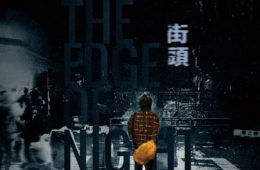 China only recently acknowledged its detention of Lee, but the true motives for why it would kidnap Lee is unknown, except that it has leveraged on Lee’s kidnapping in order to intimidate Taiwan. 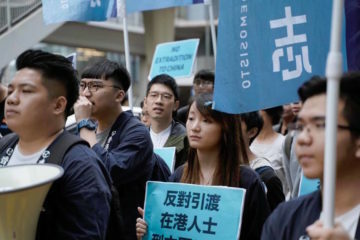 Some speculate that Lee may have crossed a line with weekly lectures on democracy that he held through WeChat or that Lee may have been caught in the crossfire of the Chinese government’s ongoing crackdown on civil society groups. 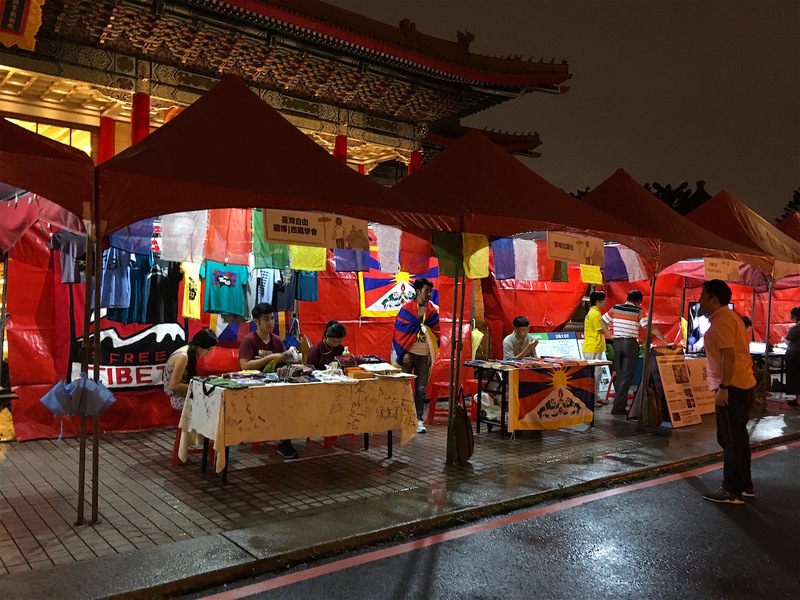 Speakers included veteran democracy activist Linda Gail Arrigo, Miao Poya of the Social Democratic Party, and representatives of Tibetan and Uighur groups in Taiwan. 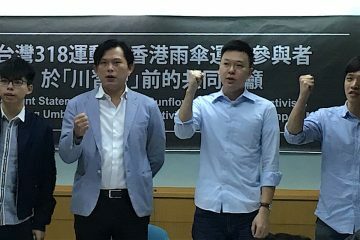 Likewise, a slideshow of prominent human rights activists that are currently detained was held accompanied by a skit, and there followed a performance by activist hip-hop group Community Service, although there were some technical problems with equipment during Community Service’s performance. 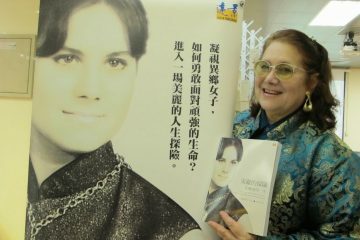 In her comments, Linda Arrigo drew parallel between her experiences and those of Lee Ming-Che, in Arrigo had formerly been banned from Taiwan for her human rights campaigning against the KMT, seeing as a human rights activist, Arrigo felt it necessary to be concerned with the human rights situation of wherever she happened to be living. 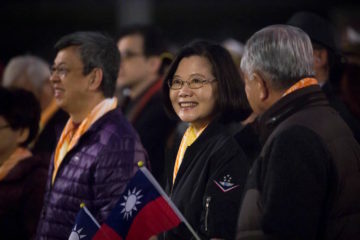 Similarly, Lee Ming-Che seemed to be an individual who was also concerned with the human rights situation of China, despite being Taiwanese, as a Taiwanese person living in China. 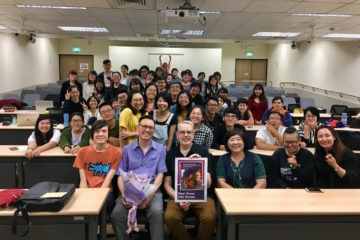 Hence Arrigo felt the need to criticize the KMT, as well as American support of the KMT during the authoritarian period, as well as why the call for defending human rights is inherently internationalist in orientation. 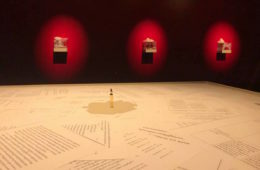 Accordingly, Arrigo also raised based on past experience how although letters and calls for international attention regarding detained prisoners of conscience may appear to have little effect on the surface, after the opening of the former party-state’s historical archives following democratization, it became increasingly visible that calls for freeing prisoners of conscience in Taiwan during the authoritarian period had in fact been a source of great pressure for the KMT, seeing as the KMT sought recognition from the international community in the face of the PRC being recognized as China instead of the ROC. 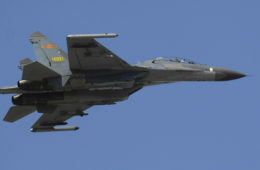 So, too, perhaps, with China, which in the present aspires to international prestige but it is unwilling to let go of its authoritarian practices. 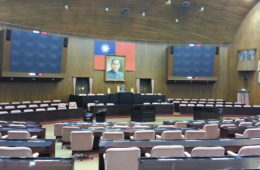 Miao Poya commented on how China’s actions with regard to Lee Ming-Che only illustrated the need for Taiwan to be independent of China, yet while also stating that this illustrates the need for Taiwanese to continue to be concerned with the human rights situation in China, seeing as the problem is not avoided if Taiwanese simply do not travel to China or do not have any dealings with China. 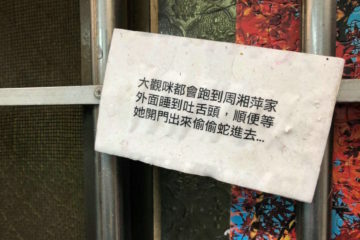 In this way, Miao stated that she rejected the views of those in Hong Kong who claim that it is not necessary for Hong Kongers to commemorate the Tiananmen Square Massacre with the view that Hong Kong is a separate polity from China. 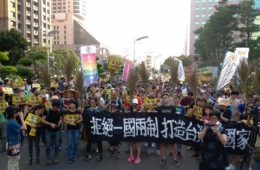 Indeed, in recent years in Hong Kong it has increasingly become a debated issue as to whether Hong Kongers should continue to commemorate the Tiananmen Square Massacre as calls for Hong Kong independence rise, but notably in Taiwan, Taiwanese activists usually do not feel such anxieties about their senses of identity that they need to exclude commemorating the Tiananmen Square Massacre in light of the view that Taiwan is not a part of China. 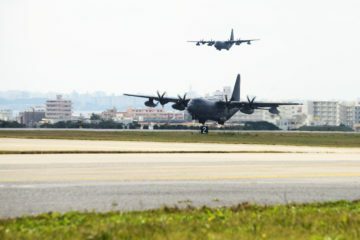 Nevertheless, in spite of this, Hong Kong’s Tiananmen Square commemoration usually dwarfs Taiwan’s yearly. 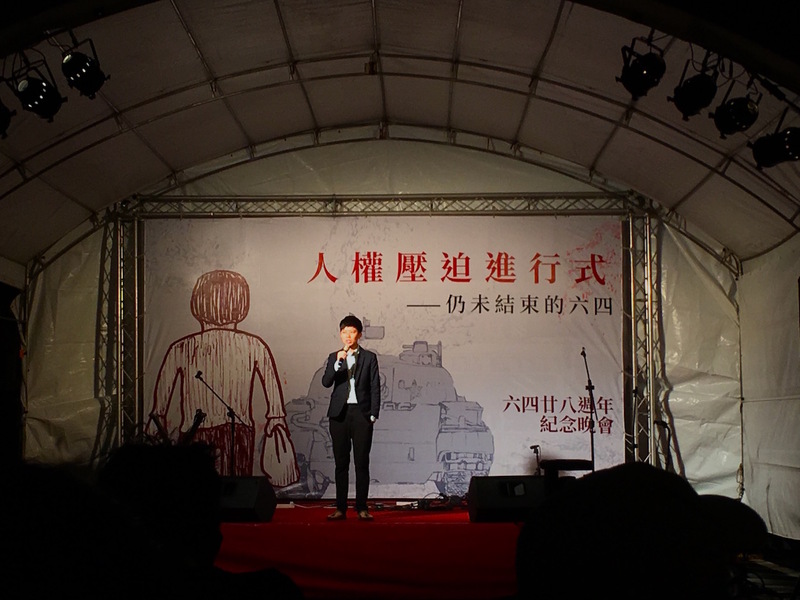 Likewise, Fish Lin of Community Service remarked upon how he was old enough to remember the Tiananmen Square Massacre, and that many Taiwanese artists came forward to commemorate the event at that point in time. 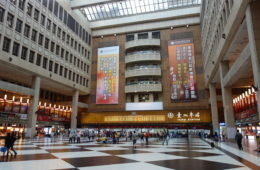 But facing pressure from the possibility of being excluded from the large and lucrative Chinese market in the present if they continue to criticize China, many of these Taiwanese artists no longer dare to criticize China. To this end, apart from pointing to hypocrisy of these Taiwanese artists, Fish Lin also commented that Chinese independent artists should not be thought of as silent either, praising the Chinese independent artists that did dare to criticize the Chinese government as the real punk musicians, stating that as a critic of the government in free and democratic Taiwan, he saw himself as paling in comparison to those musicians who dared to criticize the government in authoritarian and undemocratic China. 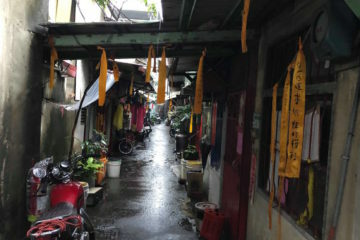 Lin also stated that it was necessary not only to remember the plight of Lee Ming-Che, who is not allowed to return to Taiwan at present, or Han Chinese dissidents who are exiled from China, but Tibetans and Uighurs who are exiled from their homelands. As for the release of Lee Ming-Che, broader demands for the betterment of the human rights situation in China, or for exiled Chinese dissidents, Tibetans, and Uighurs to be allowed to return to their homelands, this remains to be seen. 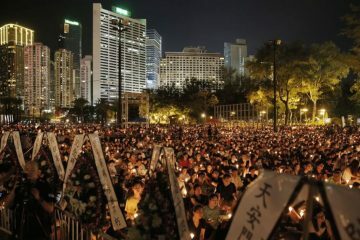 But, although numbers at the yearly Tiananmen Square Massacre commemorations are never enormous, that these are salient issues have not been forgotten in Taiwan, which continues to call for reform and change in its neighboring country. 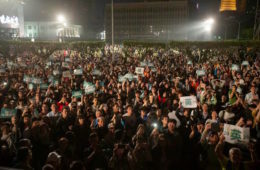 Questions About Tiananmen Square 27 Years on in Taiwan and Hong Kong?